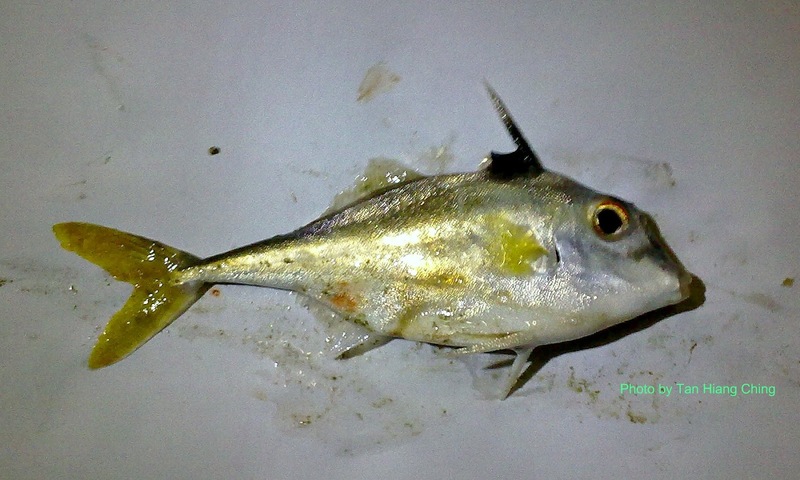 Tripodfishes or triplespines are members of the Triacanthidae family. They are distributed in the Indo-Pacific region. They inhabit shallow waters, occurring usually on flat, sandy or weed-covered bottoms. The tripodfishes are recognized by their 5 visible dorsal spines, one rudimentary dorsal spine and only a large spine (no visible rays) as the pelvic fins. 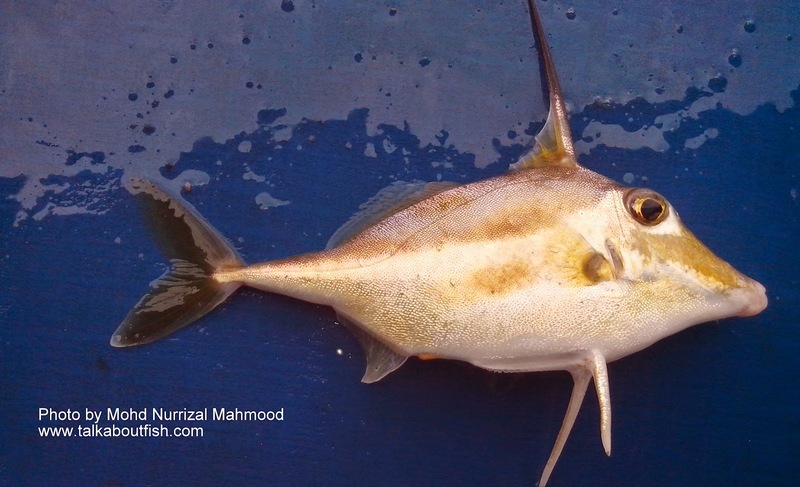 They also have a deeply forked caudal fin that separate them from the spikefishes (Triacanthodidae). Tripodfishes feed on a wide variety of benthic invertebrates. There are 4 genera and about 7 species of Triacanthidae worldwide. Malaysia has all 4 genera and 6 species. Size: Maximum total length 15 cm.